As the Royal Navy Landing Ship Tank made a desperate race for the Anzio beachhead, 18-year old Ordinary seaman Matthew Toner once again braced himself under the horrific barrage of ‘Anzio Annie’ – a pair of death dealing German long range guns. It was just one of many hazardous trips he would make to supply vital reinforcements in support of the allied invasion of Southern Italy. 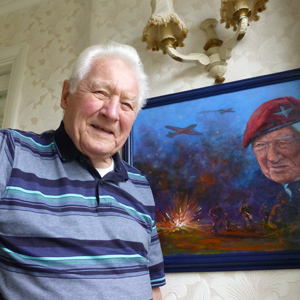 Now aged 87, Matthew from the Wirral on Merseyside will be returning for the first time to the shores of Anzio, 69 years on. 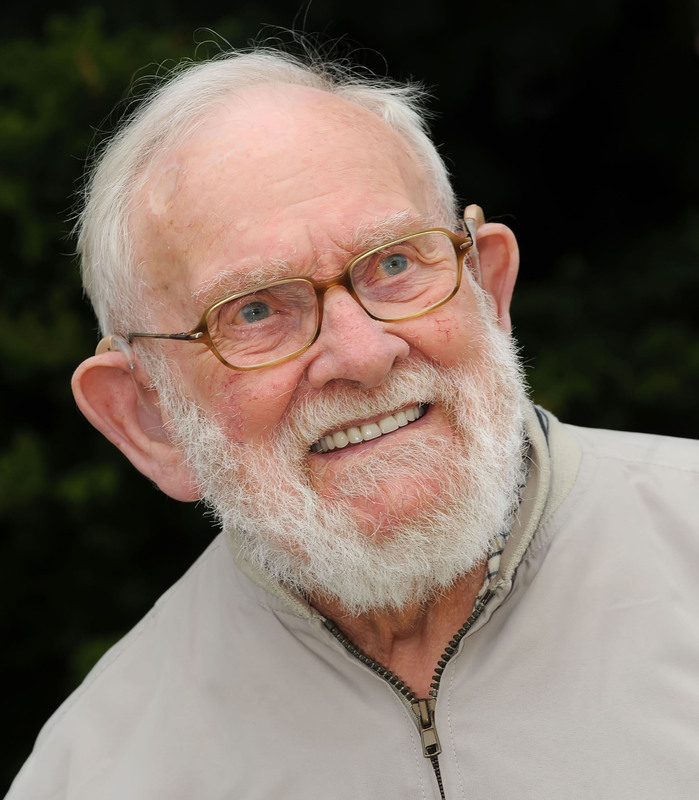 Matthew will travel as part of the Big Lottery Fund’s Heroes Return programme which has to date awarded over £25 million to more than 51,000 Second World War veterans, widows, spouses and carers. 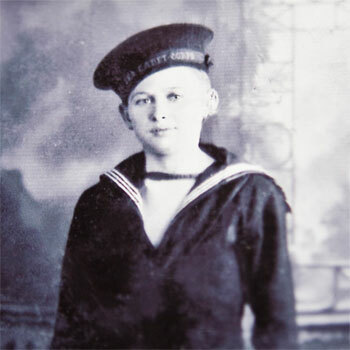 Birkenhead lad Matthew joined up with the Royal Navy in 1941 aged just 16. Not long after, he was making his first voyage across the treacherous Atlantic to America to pick up a newly built Landing Ship Tank (LST) 410 designed for carrying troops and heavy vehicles from sea to shore. After spending three months in America, LST 410 set sail for the Mediterranean loaded up with ammunition for the allied troops in French North Africa before taking part in Operation Husky the allied invasion of Sicily. With the success of Husky and the Italian campaign launched and underway, Matthew was deployed as part of Operation Avalanche, the main invasion of Italy at Salerno in September of 1943. 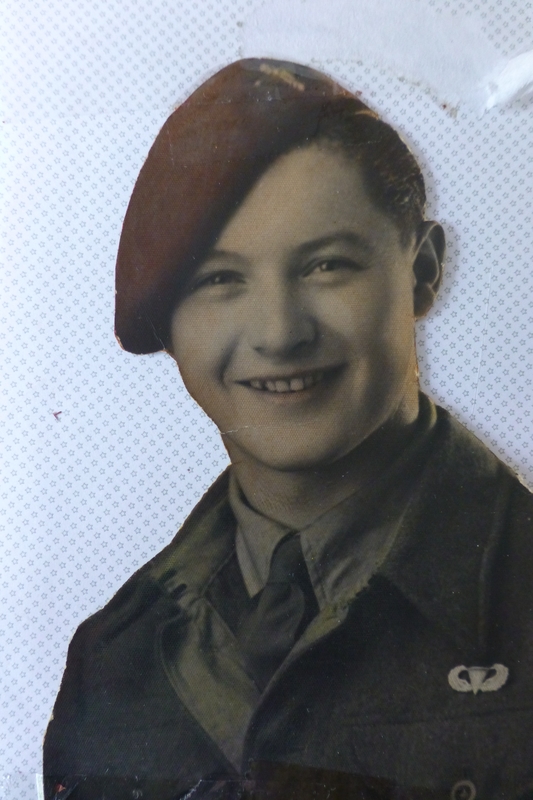 He remembers: “At Salerno we were landing the original 7th Armoured Division Desert Rats. We felt sorry for them as they had been in the desert for four years and were promised leave to go home. But they had to do it because Churchill had wanted it. “We were praying for them. We shared our rum and cigs and we looked after them on the ship. We heard the Italians had surrendered so we all rejoiced with a double tot of rum. Nelson’s Blood we called it and it was very strong. “But the Germans had quickly replaced the Italians and when we landed and opened our bow doors the Germans were waiting for us. They were coming toward the beach and there was a lot of hand to hand fighting. Despite the heavy German counter attack the combined British and American forces finally secured bridgeheads at Salerno and Taranto and from there pushed up toward Naples where an allied offensive was launched to break the German Gustav line at Monte Cassino. However, hampered by the difficult mountain terrain the allies struggled to capture the German stronghold and Operation Shingle was launched in an attempt to support the offensive by landing troops along the Italian coast below Rome to establish a beachhead at Anzio far behind the enemy lines. 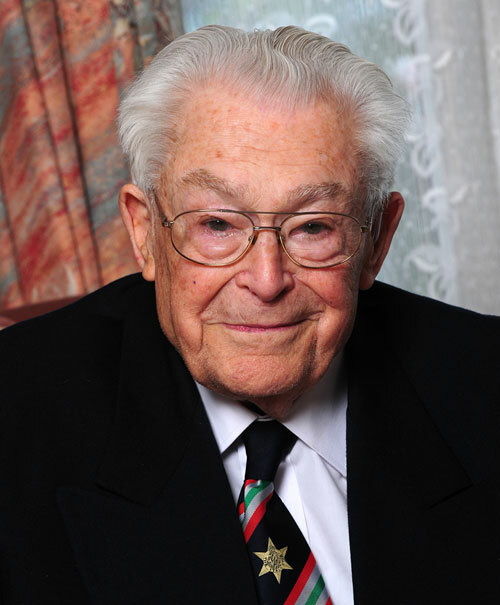 Matthew recalls: “There was horrific shelling at Anzio. Wherever we were sent we knew there was trouble but you always tried to be a little bit macho as if you weren’t scared. But sometimes I was scared. We must have made about 30 trips running back and forth between Anzio and Naples and the Germans were shelling us with Anzio Annie, huge guns lobbing shells right into the harbour. We landed the American Rangers and some of the Black Cat Division and the Welsh Guards. We took a lot of wounded back to the hospital ship in the bay and others back to Naples. 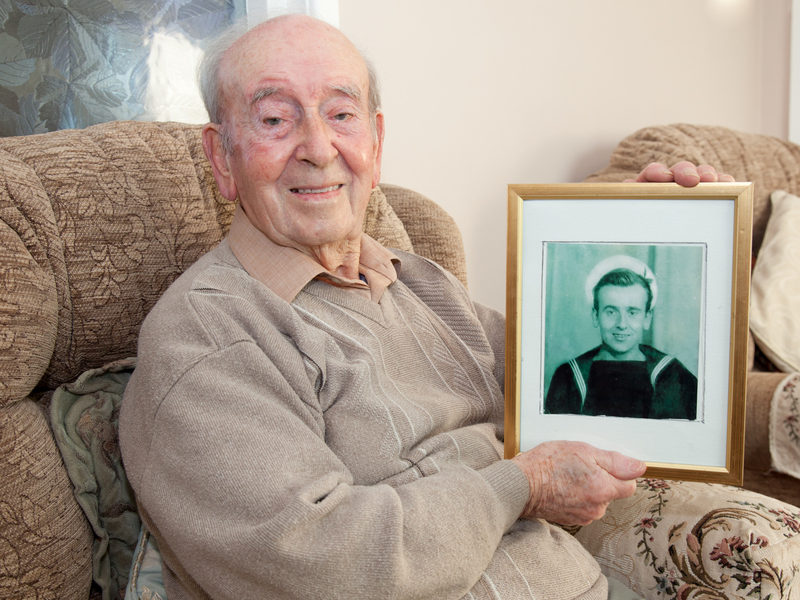 D-Day followed and after picking up troops and heavy transport vehicles in Southampton, Matthew set sail as part of Operation Overlord in a flotilla of over 5,000 ships heading for the beaches of Normandy. He said: “We were anchored off the Isle of Wight. When we picked up the troops they were bored stiff. They didn’t know what was going on. At about 7am we saw the Paratroops in planes going over to France. We were part of a huge armada with over 150,000 men. As the Normandy offensive got underway Matthew’s ship continued to operate as part of a vital supply line before finally returning to Liverpool for repairs before being re deployed to Kochi on the West coast of India. He said: “We knew we were taking part in practice exercises for landing in India but then we were told to hold troops in Malaya. We then went down the Malacca straits to Penang but the Japanese had gone two weeks before. We went on to Calcutta and then we heard the bomb had been dropped. Matthew and crew were sent to a camp in Darjeeling where they rested up before sailing to Bangkok to pick up supplies of rice which they took on to Singapore following the Japanese surrender. 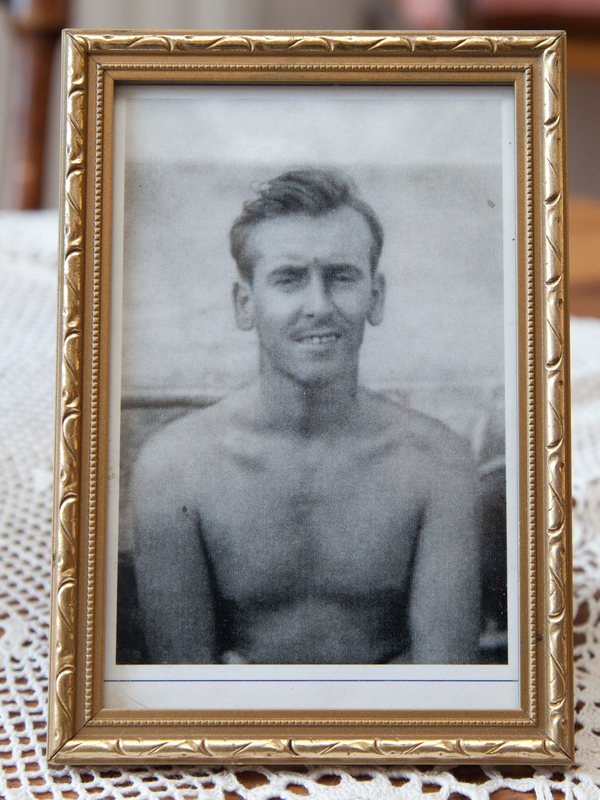 Matthew came back to England in 1946, though stayed in the Navy where he served in mine clearing operations round the British Coast, and later as part of the Atom bomb testing in the Pacific Atolls. 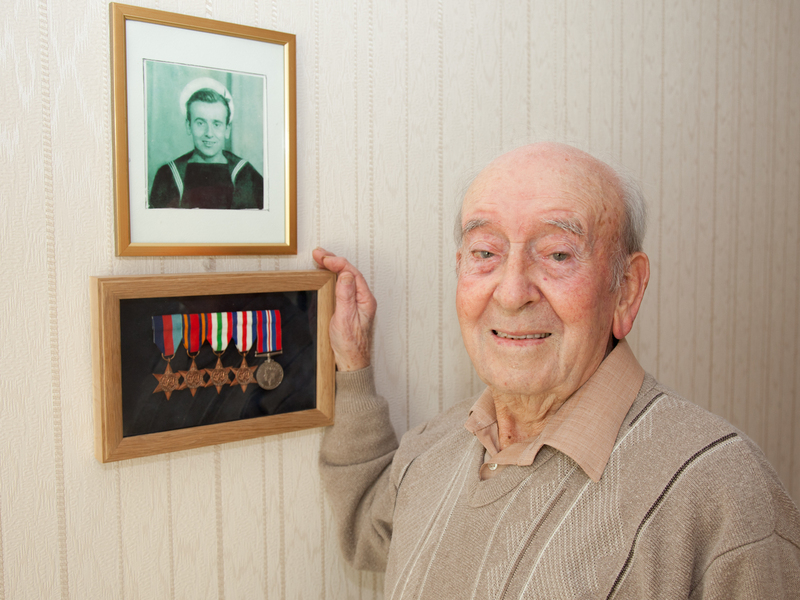 He finally came out of the service in 1951 with the rank of Seaman Petty Officer. PoW Eric Batteson crouched in the dark watching the camp guard’s every movement before seizing his split second moment to escape to what would be an uncertain and precarious freedom high in the Italian mountains. 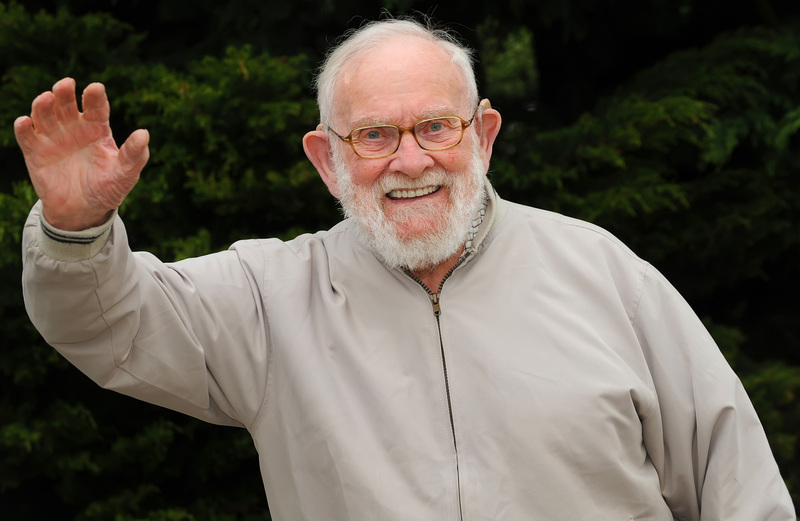 Now, thanks to a Lottery award the 92-year veteran from Chester is making an emotional pilgrimage to thank the courageous villagers of Colleregnone who risked their lives to feed and shelter him from the enemy. He will even stay in the same house owned by the same family who gave him refuge through those dark days of war. 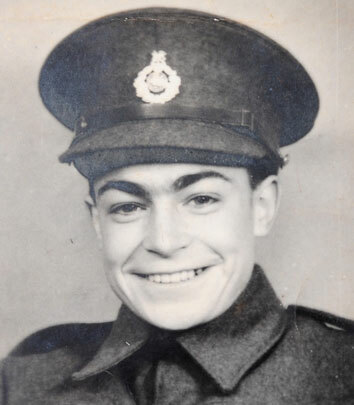 Eric, who saw front line action in major battles across the Middle East, Greece, Albania and Crete, completed his field training as a Lance Bombardier with the Royal Artillery in 1939, and a year later, aged 21, embarked on the SS Oropesa bound for the Middle East. 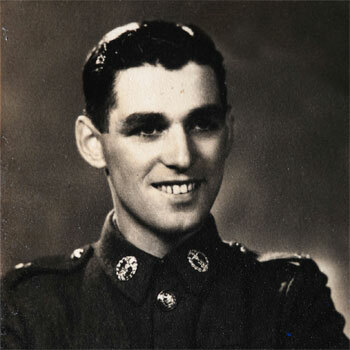 The troop then sailed to Egypt where from December 1940 Eric was deployed in fierce desert warfare, plotting gun positions to range attacks on Italian forces as his unit fought their way up the Libyan coast to Benghazi as part of Operation Compass. The advance was the first major allied operation in the Western Desert Campaign, which saw the capture of 115,000 Italian prisoners, and destruction of thousands of enemy tanks, artillery, and aircraft. Following the success of Compass, Eric’s battery was deployed to stem the German invasion of Greece but the allies were forced to retreat into Albania then finally to Crete. Eric was evacuated from Crete on HMS Orion bound for Alexandria, an ill fated voyage that sustained horrendous bombing attacks which claimed the lives of over 360 sailors and troops and injured 280. 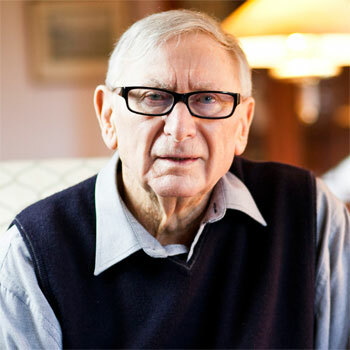 Eric’s next action was to see him taken prisoner after a running battle with Italian and German forces from El Alamein up to Tobruk, and where the troop were forced to surrender when Rommel’s Army surrounded the town. 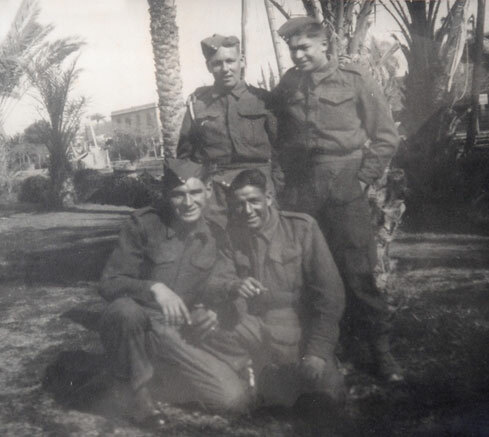 Marched across the desert to Benghazi, Eric survived on half a pint of water a day and hard biscuits before being shipped to a PoW camp at Macerata in eastern Italy. 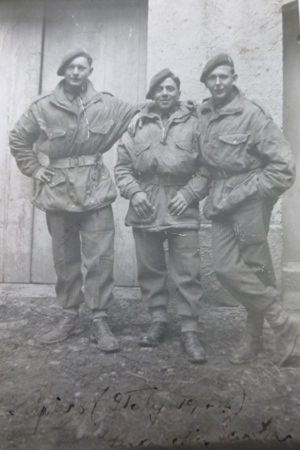 However, as the Italians capitulated and news came that the Germans were soon to take over the camp, Eric and two comrades decided to make a daring night time escape by slipping through an unlocked gate and scrambling to freedom in the Italian mountains. Steering west by the stars they climbed by night but then switched to daylight travel to avoid stumbling over ledges in the dark. Reaching the village of Colleregnone, tired and starving, they spotted a farmer up a fruit tree and took the gamble to approach him. As fierce fighting at Monte Cassino hampered the allied advance in Italy the group decided to try and reach the allied forces, so dressed as Italian farmers they came down from the mountains to the Adriatic. There they found a boat and met a local woman who promised to get them some sails. 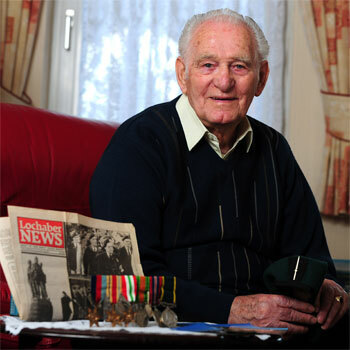 Eric remained at the camp until he was liberated on April 14th 1945, before arriving back home in time for VE day. Now he will mark the anniversary 67 years on by making a special commemorative trip with his family, to thank the people of Collegerone.